Well, I am about a month in and things have been going fairly well. 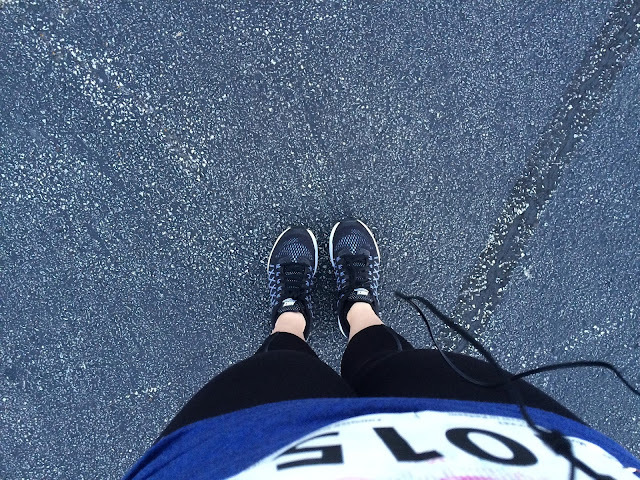 I’ve been running 2-3 times a week for the past month and averaging 3-4 miles each run. It has still been a challenge to start, but once I do, there’s no stopping me... At least for 30 to 45 minutes. 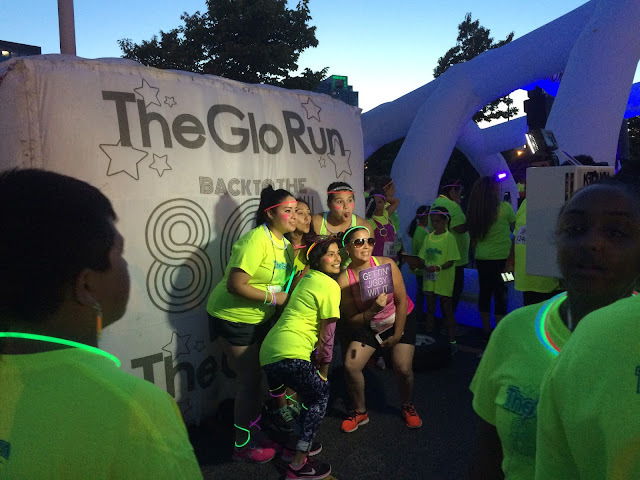 The second race I participated in this summer was the 80s themed Glo Run, which took place at Soldier Field on July 16. All Community Events, the company that hosts this event, was nice enough to comp my entry. I can honestly say this is one of the better races in which I have participated. Why? We actually started running on time. If you have ever took part in a race, you know this rarely happens. Before the event, information regarding packet pick-up was very well communicated. Though I was unable to grab my stuff at packet pick-up which was held at the Fleet Feet in Old Town, getting my stuff before the race was a breeze. The stations to pick up your items were well marked, and the lines moved quickly. 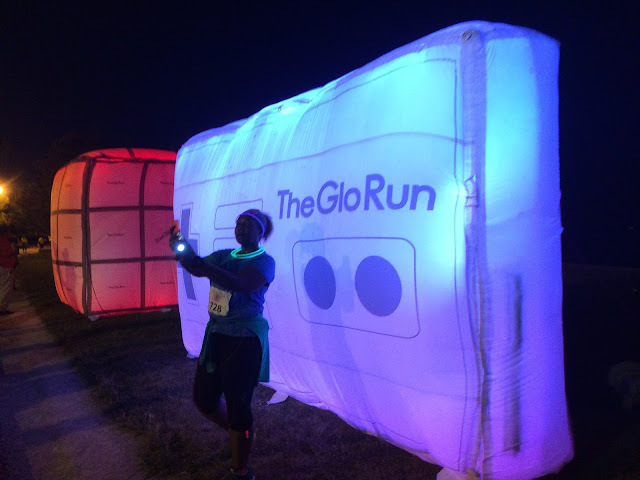 The swag included multiple glow sticks, neon yellow race shirts and a small flashlight for the runners. There was also an option to purchase other light-up accessories so you could be seen from space. To further prepare us for a late night race, there was a paint station which volunteers would apply glow paint to participants for increased visibility. Once runners completed the race, Lagunitas beer awaited those of us who are 21+. There was only one station, which wasn't the most efficient, but hey, free beer. We had the option to grab a wristband before the race to expedite the process which made this run a little smoother. Of course, a party isn't truly a party if it lacks an after party. Participants gathered around the DJ for a post-race dance party. *This post is sponsored by All Community Events which provided me with a complimentary race entry in exchange for this blog post. All thoughts and opinions contained within this post are my own.